The summer life is in full swing and what a better time to hit the beach and relax with your family. Though you often wish you can bring the beach home with you, certainly there must be a way to do that. Of course, you can lay down a few seashells on your dresser or even buy a beach-inspired comforter. However, the best way to convey the wave-crashing views is in the bathroom. New water fixtures with durable and natural materials with modern décor are all elements of a beach-lifestyle that whisks you away to the casual shoreline every morning. Here are three ways to help with your beach bathroom remodeling plan. Typically when you visit a beach style bathroom you often feel the vibe of a beach-changing-room which means that you are feeling that sense of harboring a service for any visitor no matter what time of day. A full-tiled wall is often the most popular choice from the beach-themed bathrooms. When it comes to durable faucet finishes you want something that was built to last; something that is casual and laid back which is mostly associated with typical beach lifestyles. After you have the beach type in mind, your color palette should be next on the list of bathroom remodeling plans. You should start with the walls or floors to designate the overall color. Consider sand tones with beige and gray, or for the blue crashing waves think of a soft blue to set your scheme. You can also pull colors from driftwood that is naturally gray or tan on anything from glass tiles to bathroom cabinets. If you want to bring in some new patterns, start with collecting towels, shower curtains or fabric in yellow and white, red and white, or blue and white stripes which naturally conveys the message of tanning on your lawn chair or reading a great book under your umbrella. Introducing a natural or simple wood from the beach is one of the most popular connections we have with a beach environment. For your bathroom countertop you can look for a wooden slate or gray stone inspired sink this is more of an east coast beach feel. Remodeling projects are making a comeback in a huge way throughout the country. To boost the quality and appeal of your home, consider the Cost vs. Value Report as per the Realtor Magazine, the official business tool for Real Estate Professionals, which describes a bathroom remodeling project to achieve as much as 64 percent from resale around the nation. Capturing your seascape will push the feeling of bathing in the sun all year round. Bathroom remodel projects involve tile styles for both the walls and floor that vary in sizes, colors, and stone type. Here is a list of the most popular stones that are optimal for your new bathroom. Remember, there are tons colors for every example as well as different kinds of finishes. Choose from relaxing, animated, traditional or modern color schemes. Just remember to have fun during the process! You can begin to explore your options using this guide. This simple yet classic look combines affordability with practicality. Ceramic tile is easy to keep clean and a breeze to maintain. Although it seems base in style, there are an array of patterns and designs to select from so your bathroom floor or wall tile can line up with whatever theme you have in your home. If you are interested in a more rugged natural look, then travertine is definitely for you. This all natural stone is formed underground by shifts in the Earth’s crust. Therefore, it comes in a wide variety of formations including: aged, chipped, brushed, and tumbled. Travertine is among today’s leading types of stone tile, and unlike other marbles, it produces a uniform porous surface making it practically perfect for covering your bathroom walls and floors alike. A bathroom tile that is hard to clean, or unable to withstand heavy wear and tear, is no good to anyone. As the hardest of structural stones, granite can withstand frequent cleaning and high traffic which makes it the most durable and “maintenance-free” of all stones. Glass tile used to be considered a pricey option, but not anymore. Now it is more accessible to limited budgets and can be used in a variety of bathroom wall styles as a border, or simply a beautiful montage. The unique reflection that light has on glass makes this particular bathroom wall tile a a real knockout without the hole in your pocket. Glass mosaic can brighten up the dimmest bathroom giving it a bold modern vibe. This bathroom wall or floor tile can add a splash of color and plenty of character to your bathroom. A unique decorative bathroom wall or floor tiles are ideal if you are looking for that artistic flair. With a variety of styles, patterns, and colors to choose from you can transform your bathroom walls or floors into quite the work of art that can illuminate your bathroom setting and make it a bright and cheerful place to relax in your home. Bathroom Remodel Experts Can Help Brighten Up Your Home! Whether you have owned your home for 3 years or 30, having a dinky unattractive bathroom is no fun for any family. The bathrooms in your home should be a place of retreat for a relaxing bubble bath, and spacious with plenty of decorative but practical storage space. Especially if you have a family of four or more and everyone is sharing a bathroom you need to utilize the space as best as possible while still maintaining a nice décor for guests and friends to enjoy. A general contractor Los Angeles area remodeling expert from Big3 Construction can help you redesign and revamp the bathrooms in your home with ease and professionalism. If your bathroom is small to begin with and you don’t have much space to expand, lighting can be a great tool for making it appear larger. A properly lit bathroom can really open it up and make it appear larger. Placement of cabinets, vanity, and shower or tub is important as well in utilizing the space in the best way. Our bathroom remodel Los Angeles specialists will help you maximize the design of your bathroom so it looks fresh and as open as possible. 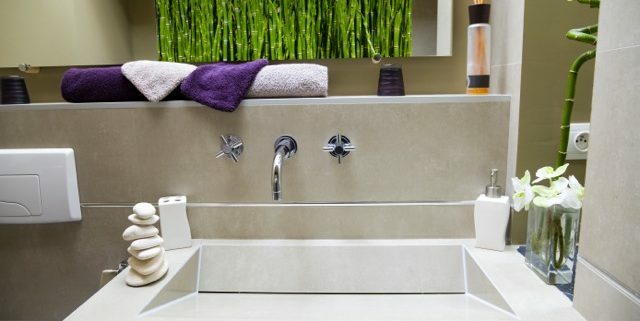 Now, if you have multiple people in your home sharing a bathroom another great and practical option is to have a double sink counter top put in, given that the bathroom is not so small as to not be able to accommodate it. Your family will certainly thank you when two people at once will be able to use their own sink for getting ready in the morning instead of having to fight over who spits out their toothpaste first. If the bathroom that you wish to remodel is fairly large with some extra space to work with one thing you may want to consider as another time-saver for rushing through hectic mornings is to separate the toilet and shower from the rest of the bathroom. This way someone can comfortably and privately use the facilities while others still have access to the cabinets and vanity. Los Angeles bathroom remodel specialists at Big3 Construction can help you with every step of the remodeling process from the initial design layout, to what counter top or bathtub to choose, to the smallest details like toothbrush holders and cabinet knobs. 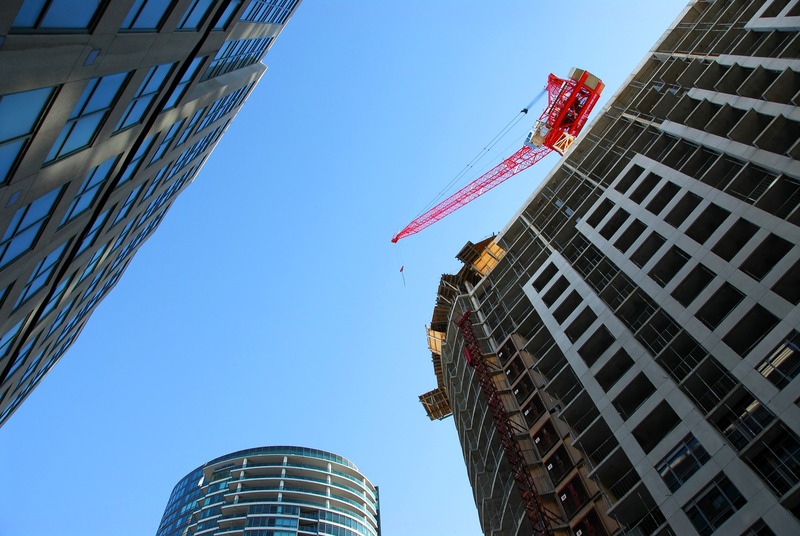 As an honest, hard-working Los Angeles general contractor we are more than willing to work with your budget to give you exactly what you want and won’t be satisfied with the finished product until you are. It is always better to go with a professional construction company rather than trying to hassle with a big project like this on your own, & we at Big3 are happy to assist you! In the end, you are sure to find that both money and time will be saved, and you can be assured that the project is done properly with the right skills and tools with our expert contractors. Plus, the addition of our professional design help can be very beneficial to achieving exactly what you want to have done. http://www.skyrenovation.com/wp-content/uploads/logo-2.png 0 0 SkyRenovation http://www.skyrenovation.com/wp-content/uploads/logo-2.png SkyRenovation2017-02-16 19:31:382017-07-19 22:50:18Bathroom Remodel Experts Can Help Brighten Up Your Home!